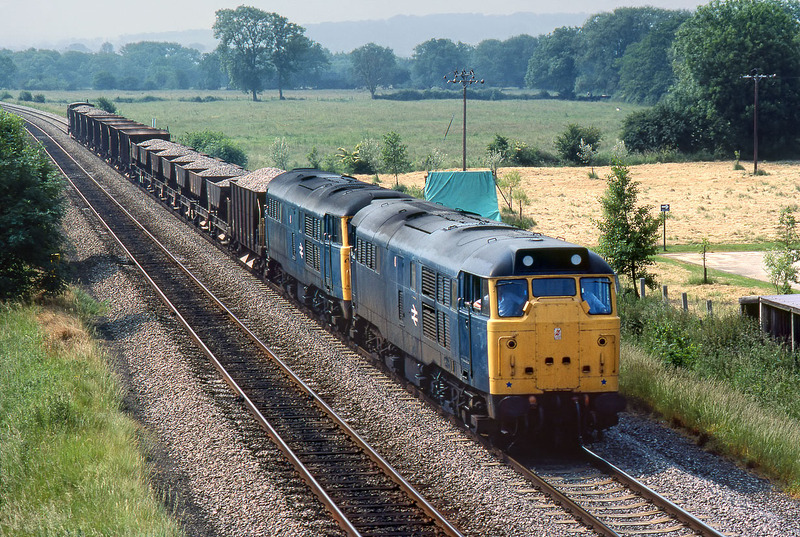 On a scorchingly hot 26 June 1983, 31170 & 31110 amble along the Oxford to Banbury line near Yarnton with a load of ballast to be used a little further up the line during track relaying works. Although not obvious here, single line working is in force, with a gang of workers working on the up line a few hundred yards further on. This location has changed considerably and certainly not for the better. It is no longer possible to get this wide open viewpoint. The footpath crossing in the background was replaced by a bridge approximately twenty years after this picture was taken.